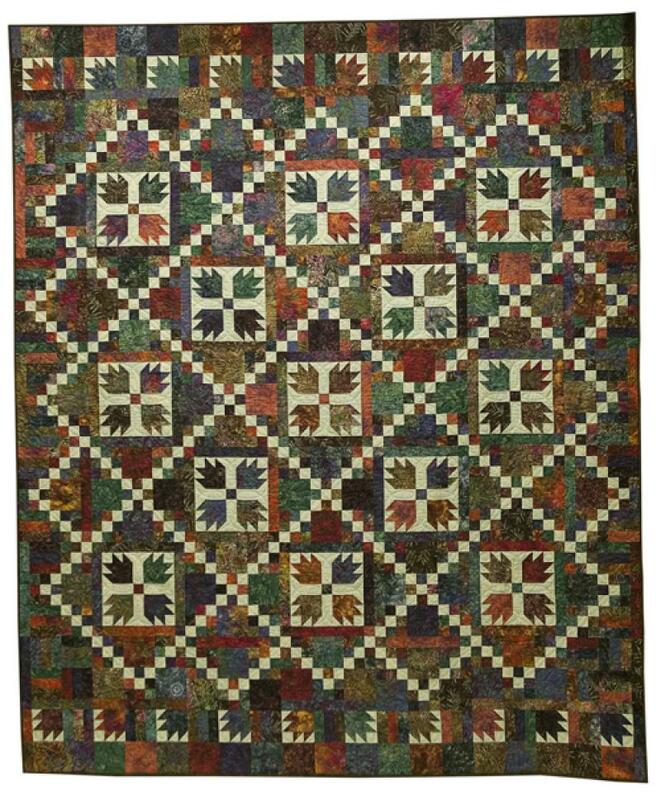 61" x 79" and 88" x 106"
Our Bear Tracks pattern sets Bear Paw blocks with Nine-Patches for a fresh look. It's easy to put together but looks complicated! The pattern offers 2 different sizes, both using an assortment of 20 Dark prints. Remember that Dark is relative. Your Dark prints could be pastels or brights! They just need to contrast with your Background. Select the Dark prints from 3 or 4 color families. Some variation in value is fine. You need 1/2 yard each for the small quilt or 5/8 yard each for the large quilt. You'll also need 1-1/2 yards of one Background print for the small quilt or 2-7/8 yard of one Background print for the large quilt. We've also included optional instructions for cutting the Dark prints from your stash. Special notions: 1-1/2" finished half-square triangle paper.